Do West Ham have a back up plan for Andy Carroll? | The Transfer Tavern | Where football transfer rumours fly or die! So What Is West Ham’s Plan B? It was all going so well for West Ham on Saturday, 3-0 up against local rivals Fulham and new signing Andy Carroll bossing the game. It was a eureka moment for the hammers as the intervention of Carroll seemed to be the final piece in Big Sam’s survival jigsaw until cruelly and suddenly it was ripped away from them. In the 68th minute of the game, after Carroll had played so well and battered Fulham into submission, West Hams new leading man picked up a hamstring injury as he leapt for a header. The injury was serious to keep Carroll out of the upcoming internationals but it could be even worse for West Ham as a muscle tear could see the new number 8 out for months rather than weeks. 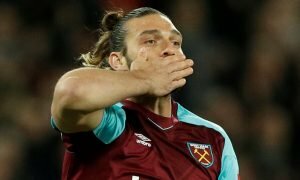 Its a huge blow for West Ham as the signs were so positive with Carroll in the team and for the amount of time spent trying to do the deal in the first place it must be a real kick in the teeth. However West Ham and Big Sam must now look for an alternative, who can fill the giant shoes of Andy Carroll and keep the momentum rolling that the man on loan from Liverpool started. We all know Big Sam likes to play the long ball game, and why not? 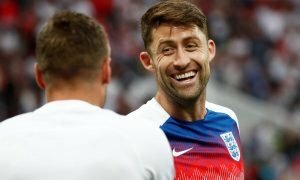 It’s been proven to be very successful for the West Ham manager in his time at Bolton and Blackburn and has formed a big part of his reputation of keeping teams in the Premier League. Although now the hammers need a back up plan to fill in for Andy Carroll, do they just replace like for like or go down a different route and change their style? The obvious option for Big Sam is to bring Carlton Cole back into the team. His physical presence, form and goal threat is of a similar level to Andy Carroll but perhaps will not the deliver the same results as the geordie target man. Another option is the relatively unknown Modibo Maiga, signed from Sochaux in the summer he is a very different player to the likes of Cole and Carroll although he could provide West Ham a different option and provide pace, trickery and an eye for goal. Having already scored his first goal in the 2-0 league cup win over Crewe he looks ready to go in the Premier League and with Carroll’s injury it could be the perfect time to introduce the Malian. Sure West Ham may have to adapt their style slightly but this shouldn’t be so much of a stretch for this team as on Saturday that they can play some decent stuff when they want to. There are certainly a few options for Big Sam to contemplate over the international break, even reports of extra defensive cover have arisen in the last couple of days with former Sunderland defender John Mensah (link) being touted as a possible free transfer coming to Upton Park. But for West Ham the main priority is finding a back up plan for Andy Carroll and keep the ball rolling on what has been a fantastic start to the season for the hammers.